Chapped lips refer to a common condition in which the lips become dry, cracked and sore. If marked, this can lead to bleeding and secondary infection. 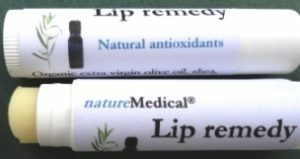 A number of other factors contribute to it’s incidence and severity of chapped lips including overexposure to the sun or cold wind, dehydration particularly associated with alcohol intake. The incidence and severity of chapped lips significantly increases to over 67% during and after chemotherapy. Other drugs which cause oral dryness including codeine, opiates, anti cholinergics and aromatase inhibitors. A recent published study showed that people who regularly used natural based creams had a better perceived benefit compared to petroleum based products. This study also observed that patients who had chapped lips where more likely to develop cold sores. C old sores: A number of infective conditions can affect the lips including bacteria and fungi, but the most common in the community, by far, is the herpes simplex virus (HSV). Acute episodes are characterised by the presence of red, swollen areas on the mucous membrane or skin, with fluid-filled blisters which can be disfiguring and painful. The HSV, once caught, lies dormant in the facial nerve ganglion. Cold sore episodes occur when the HSV migrates down the nerve to the dermis in and around the lips. Although strategies to prevent an acute episode have so far been unsuccessful topical or systemic anti-viral agents such as acyclovir, docosanol, penciclovir or valacyclovir, have been shown to shorten the length of the attack if used early in an episode. The precise triggers for these acute episodes are not certain, but there are associations with iron deficiency, psychological stress and a history of aphthous ulcers. The research study, published in the Journal Focus on Cancer Medicine, suggested a link between chapped lips and cold sores, as 79-82% of patients with cold sores also suffered from chapped lips, as opposed to 18-21% who did not. Many advise looking at measuring the levels of micro-nutrients in the diet if cold sores are common to see if there is an excess or deficiency in the levelsof essential nutrients which may effect the immunity. Fungal infections: These are more common than you may think although are mainly restricted to the elderly or people with an altered immunity. It is often called angular cheilitis. The fungus grows in the moist areas at the corners of the mouth especially if there is associated cracking. It would be advisable to use some anti-fungal cream such as canesten which you can buy over the counter. Once it has healed, try to keep the corners of the mouth dry and avoid cracking buy using a natural lip balm. Please allow 7-14 days to arrive. 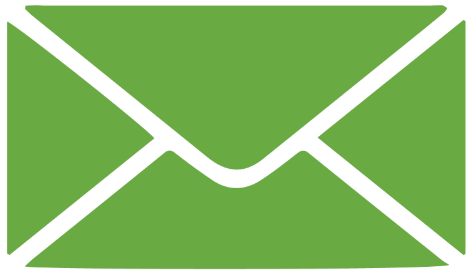 If it does not arrive by then, please contact us and we will look into the logistics. Unfortunately, we do not currently supply outside the UK.